Who the heck is Sam Leccia? If you haven't tried Leccia Tobacco yet, you're in for a treat. This is not your average cigar! Patrick DeWitt will be here with Sam, and he's bringing goodies! Buy some Leccia cigars, get some Leccia cigars (that's as specific as I can get at the moment). 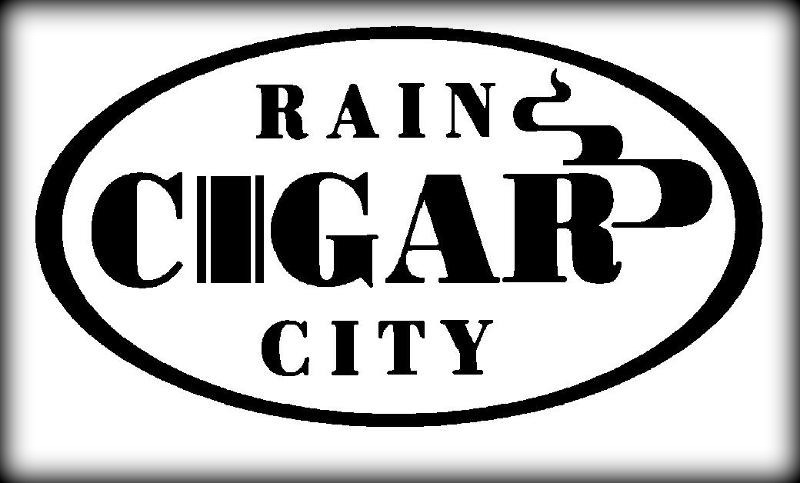 For you "I like what I like" folks, you're in luck because ALL General Cigar Brands will be on sale that day! One Week Until ¡Macho Libre! If you haven't purchased your tickets for ¡Macho Libre!, our upcoming Cinco de Mayo event, there's still time! This time, next week, we'll be taking over the Snoqualmie Casino Ballroom for a one-of-a-kind event of Lucha Libre wrestling, cigars, tequila, and cerveza! 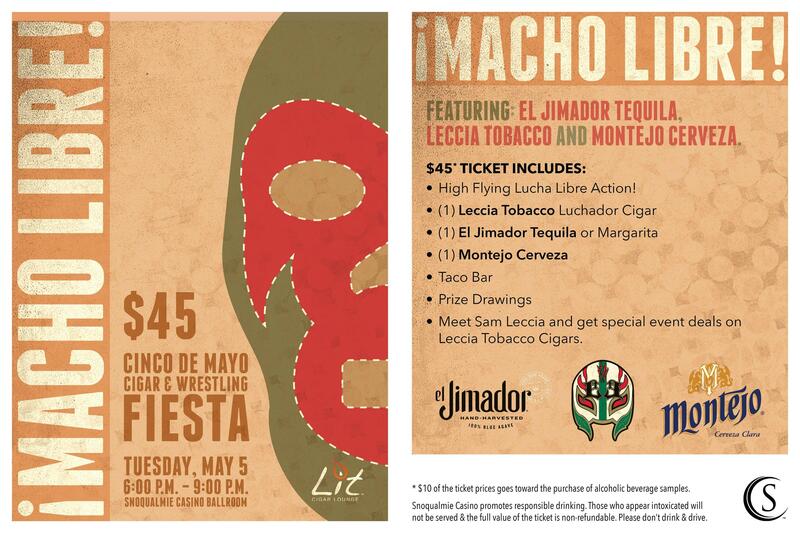 We'll be joined by Sam Leccia of Leccia Tobacco, as we feature the delicious Leccia Luchador cigar, along with El Jimador Tequila and Cerveza Montejo. We've got ring girls, a taco bar, and masked luchador wrestlers flying around the ring - how can you not be excited? 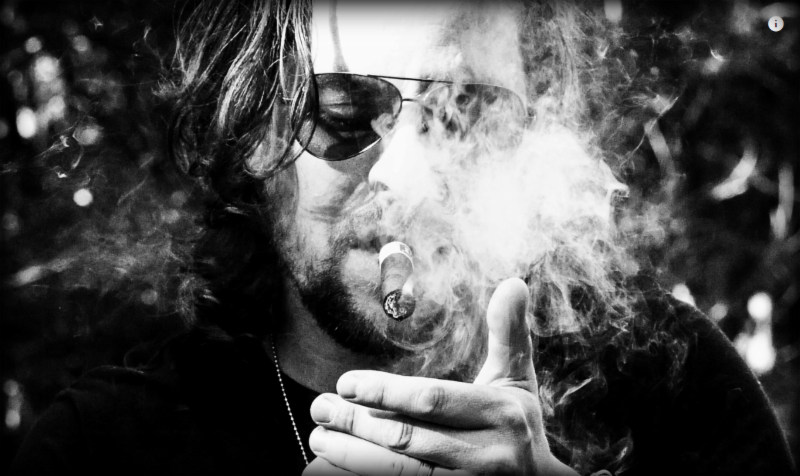 Did I mention you can smoke cigars while you watch all the action? 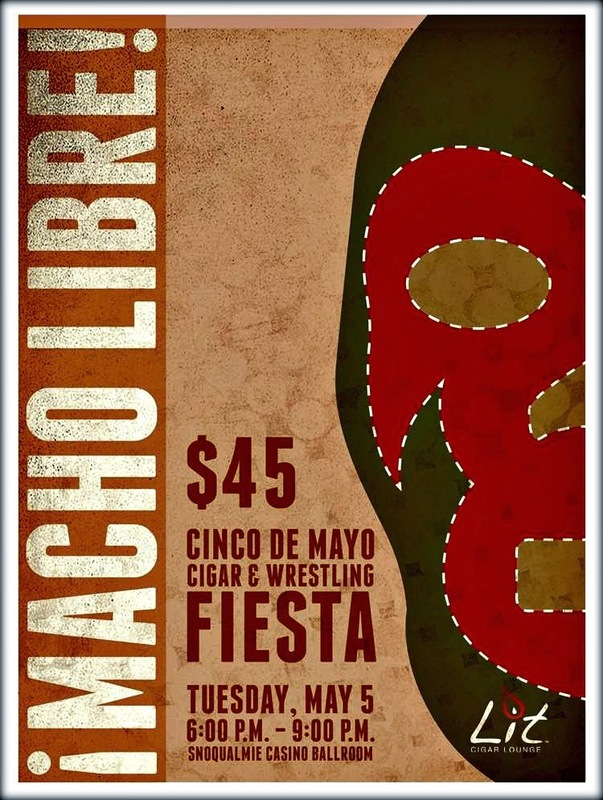 Your $45 ticket includes a cigar, either a tequila or margarita, a beer, taco bar and all the high flying wrestling action you can handle! 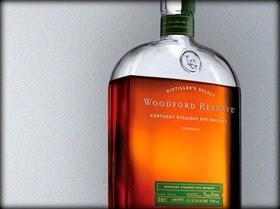 Woodford Reserve Rye - The long awaited release of Woodford's straight rye whiskey is here! It's an exceptional rye, complex and spicy with some great sweet baking spice notes and a chocolate sweet finish. Here's a review from Drinkhacker to whet your appetite! Glenmorangie Tusail - We're saving most of this limited edition for a special tasting in June, that you'll read about here, but there's a bottle on the shelf in Lit that won't last long! Tusail is the 6th edition in Glenmorangie's Private Collection and it differs from other Scotch whiskies in that it uses an obscure winter barley called Maris Otter. It's full of ripe fruit notes and the rich malty character from the Maris Otter barley is really something to behold! If we run out before you have a chance to try it, look for a special event coming up featuring a Glenmorangie tasting! Hoyo de Monterrey Edición de Cumpleaños - To celebrate the 150th anniversary of their brand, Hoyo de Monterrey released a stunning box pressed Limited Edition cigar. It's full of flavor, with a Nicaraguan Shade Grown Habano wrapper. Don't let the shade grown part fool you though, it's spicy and medium to full bodied, and very affordable as far as Limited Edition cigars go. 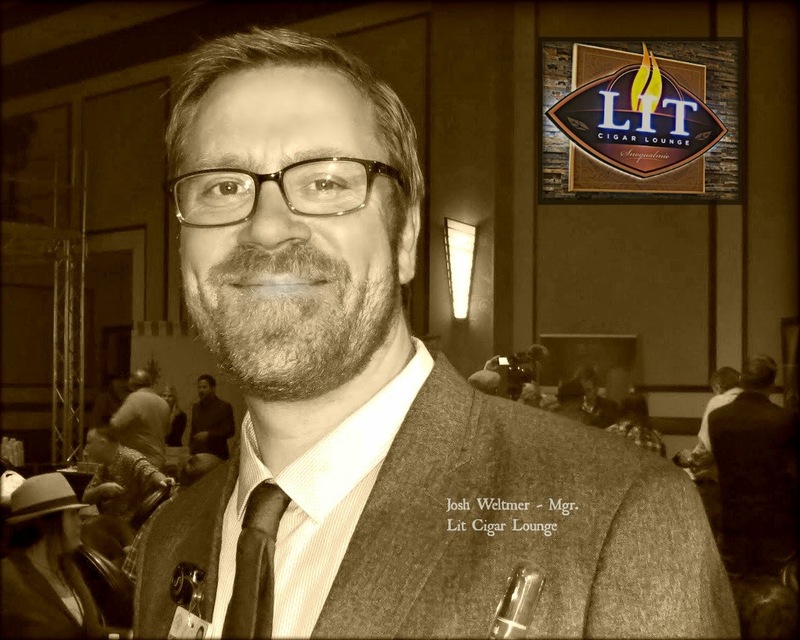 HR Habano - This cigar has gained so many loyal followers at Lit that we've already had to reorder it! Hirochi Robaina, grandson of legendary Cuban tobacco grower Alejandro Robaina, has created something special! At $20-$23 per stick, it's a luxury item, but one of the best cigars I've had in years! AJ Fernandez New World - I don't know how I missed this cigar. It was released last year, and I didn't pay attention until Cigar Journal named it Cigar of the Year. The New World is a box pressed Nicaraguan Puro, with loads of flavor and complexity in everyone's budget at $7-$8. This is going to be a fun one folks because Steve Martin from Altadis USA is bringing PRESENTS! Never know just which cigar to choose that will perfectly pair with your Mint Julep? Never fear, because if you come participate in our event, you'll receive one of these for free! Each page gives a brief description of a different Montecristo or Romeo y Julieta cigar, and pairs it perfectly with a different Coffee, Cocktail, Liquor, Beer, Wine, or other tasty non-alcoholic beverage..
and a Raffle Ticket for your chance to win a humidor full of Romeo y Julieta cigars! 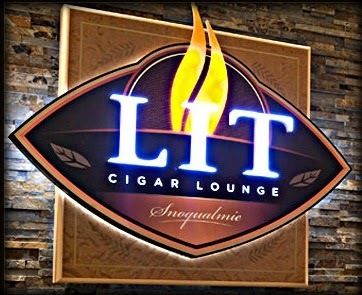 and Three Raffle Tickets toward the humidor/cigars! *The fine print: Not all brands are available for purchase as single sticks.